The Alliance for the Wild Rockies filed suit in federal court in Portland, Oregon against the Army Corp of Engineers, the Bonneville Power Administration and the Bureau of Reclamation in July 2016 for failing to complete consultation with the U.S. Fish and Wildlife Service for federally-operated dams in bull trout critical habitat. Today the Court dismissed the lawsuit after the agencies reinitiated consultation. The suit alleged a procedural violation of the ESA: the agencies failure to reinitiate consultation for projects on critical habitat. Bull trout critical habitat was designated in 2010. 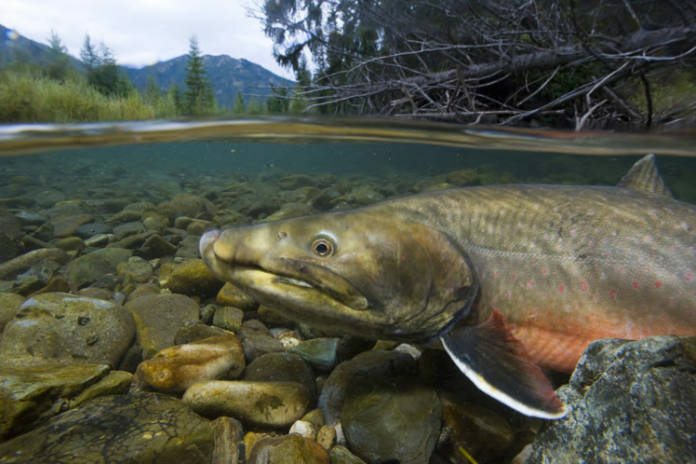 Upon that designation, the Endangered Species Act required the Federal Agencies to reinitiate consultation on the operation and maintenance of their dams on bull trout critical habitat. In essence, they were required to ensure that the operation of the dams did not adversely modify bull trout critical habitat. Garrity concluded, “Our next step here will likely be reviewing each of the dam’s Environmental Assessments to determine if there are substantive violations of the ESA. That, however, would be a separate action from this one.”< Bull trout are already extinct in California, inhabit only one stream system in Nevada, and are “at high risk of extinction in Oregon, Washington, and parts of Idaho” according to the U.S.D.A.’s Natural Resource Conservation Service, which also found “Montana bull trout are considered secure in only 2 percent of the stream segments they inhabit.” They were listed as “threatened” under the Endangered Species Act in 1998 and in 2010 “critical habitat” for the imperiled fish was designated throughout the Columbia River Basin. The Endangered Species Act required that the Army Corp of Engineers, the Bonneville Power Administration and the Bureau of Reclamation consult with the Fish and Wildlife Service on the dams they manage in bull trout critical habitat to ensure that agency operations will not result in the destruction or adverse modification of bull trout critical habitat. The effected dams are Libby, Dworshak, Lower Granite, Little Goose, Lower Monumental, Ice Harbor, McNary, John Day, The Dalles, Hungry Horse, Albeni Falls, Grand Coulee, Chief Joseph, Bonneville, Cougar, Dexter, Lookout Point, Hills Creek, and Blue River dams in the Columbia River Basin. Click here to view a PDF version of the order.